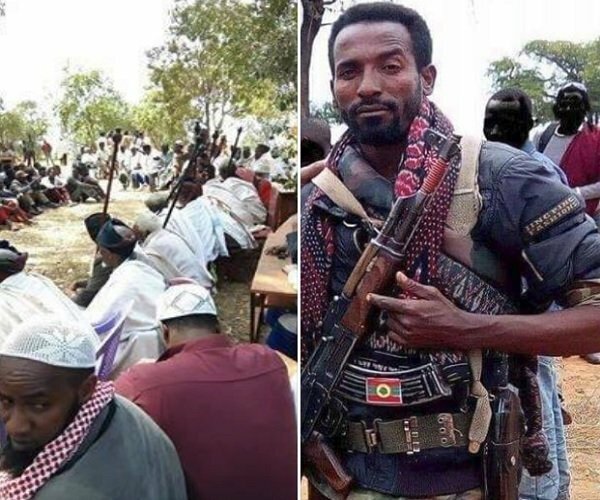 One wing of militant Oromo Liberation Front (OLF) operating in Guji,Southern Ethiopia, is allegedly giving up armed struggle. Commander of militant Oromo Liberation Front (OLF) faction operating in Southern Ethiopia reportedly accepted peace offer from mediators, Fana Broadcasting Corporation (FBC) reported today. Elias Gambella Gollo, who has been leading OLF troops in Guji area in South Ethiopia, was approached by Aba Geda, leaders in the Oromo tradition. Aba Geda Jilo Meneo declared that Oromo Liberation Front leaders operating in Guji and West Guji areas in different levels have accepted the peace offer and agreed to enter to a designated camp. Some have already entered in such places, as reported by FBC. The traditional leaders brokered peace with government which reportedly designated four places to serve as a training facility, apparently until training to reintegrate former rebels to society is completed. The Aba Gedas have also called on all political forces to struggle only through a peaceful means and they have made it clear that no armed struggle will be accepted, according to a report by FBC. Last week, they declared a peace week in the region which they have extended for another week. There entire terms of peace agreement between the government and OLF faction in South Ethiopia that is ending, at least for now – based on state affiliated media reports–are not disclosed. Another wing of the militant OLF faction is still wagging war, and it calls it defensive war, in Western Oromo region of Ethiopia, specifically Wollega. The group accused government for failing to implement “agreement” which was signed in Eritrea. For the government, the agreement with former armed opposition is based on same principle – ending armed struggle and operate peacefully in the country. On the other hand, Oromo regional state confirmed today that 18 private and state owned banks are robbed in the last 2 days in the areas where OLF-Shane armed groups, whose leader –Dawud Ibsa –is based in Addis Ababa, are operating. Based on a report from yesterday, the gunmen who robbed the banks have openly associated themselves with Dawud Ibsa’s faction of OLF. Government has already deployed members of the Defense Force in the region and there was also a report that it carried out an air strike in the the areas where Dawud Ibsa’s forces found safe heaven. However, government denied today the report that the Air Force carried out strikes in the region. Unverified video clips are released on social media, seemingly by anti-government ethnic Oromo activists affiliated with the militant faction of OLF, but they do no show government military helicopters or fighter jets in action.